Here we have a fantastic men's necklace that is rugged and strong like men themselves. 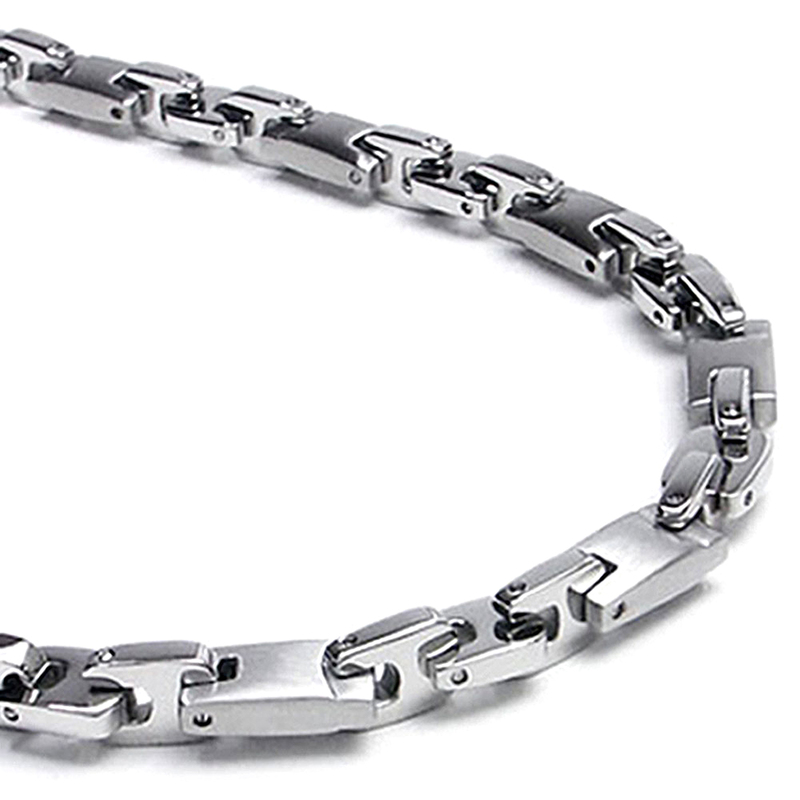 The Firmato stainless steel men's link necklace chain is a TitaniumKay.com exclusive design. Created with 6 millimeter wide high polish and satin finish 316 L titanium to create a unique design which features an alternating link of satin finish and high polish giving the mens' necklace a unique visual appearance. Our Firmato stainless steel men's link necklace chain is designed from one of the strongest metals available to make a men's necklace that will not bend, kink, or break. Our titanium mens necklace is also 100% hypoallergenic so you never need be concerned it will turn skin green or have another allergic reaction. The men's necklace chain is perfect for sports, casual, and dress wear. Be sure to shop our full line of men's and women's titanium, tungsten, and cobalt chrome jewelry. It's a gift for my 16 year old son. I'm certain he'll love it! I purchased this chain for my husband and he loves it. It's not too flashy, just what he was looking for. The only thing that was wrong was that I ordered it too long and so had to take it to be shortened. I was worried about my bf liking the link design, link size, and weight of the necklace... No worries! It's beautiful and he loves it... Hasn't taken it off since I gave it to him and he's an extremely picky guy! I would recommend this to whoever is on the fence about purchasing for any reason!